5.00 out of 5 based on 7 user ratings. 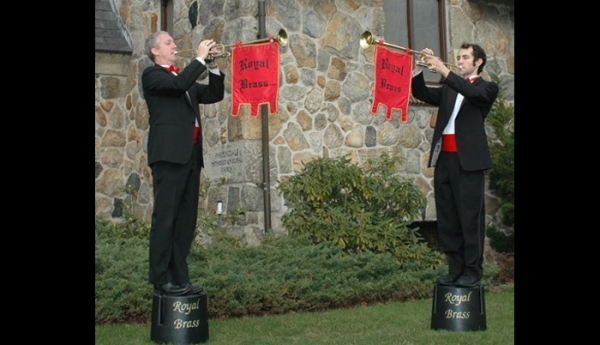 The brass trumpets added a different touch to the ceremony as well as the introduction to our reception. They were also very regal. Royal Brass was the second company I looked into, and they had the best price. Rodger, the owner, was very attentive and took a lot of time to play different keyboard sounds with me in his office to determine which would be best. He also had Mark, the keyboardist who would play at my ceremony and cocktail hour, call me twice before the wedding to go over the music selections. He was very knowledgeable about what sounds would work best with certain songs. I loved The Royal Brass!! They were professional and great from the first time I met with him. I met with Roger. They helped me coordinate the music I wanted to go along with the music of my church. It was pouring that day but as soon as I pulled up in the limo and I heard them playing it was phenomenal. They performed for almost 2 hours and I truly felt like a princess. They played during our receiving line and took photos with me and my husband. They def made our day memorable. Roger and his other musician did the most amazing job! My entrance to the church sounded so regal and fantastic! I will never forget the amazing sound that they made happen! It really adds so much to the wedding. The fanfares they played as guests approached was fantastic!! They deserve way more than 5 stars!! 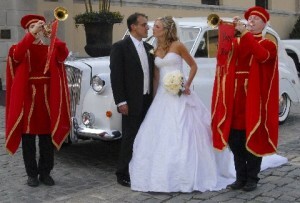 We had a fairytale wedding with all the works, including fanfare trumpeters. We searched high and low for the best fit for us, and came across The Royal Brass. THEY WERE AMAZING! Guests are still raving about how beautiful our custom arrangements were at the ceremony and reception. Rodger was super easy to work with and very professional, and his partner was awesome, too. Unlike other trumpeting services we inquired to, Rodger plays trumpet for a living and his passion is really there. He really wants to make your wedding day special. 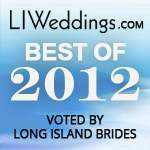 I'd recommend them to any bride and groom wanting to add something really memorable to their big day. We Provide the Ideal Musical Setting for Wedding Ceremonies and Cocktail Hours. 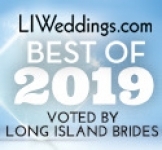 Consists of Conservatory trained musicians who perform regularly with Broadway Shows, NYC Orchestras and Wedding Bands throughout the Metropolitan area. Our specialty is wedding ceremonial music: from Renaissance Trumpeters outside church ..
Our specialty is wedding ceremonial music: from Renaissance Trumpeters outside church and catering hall, String Ensembles for cocktail hours, 13-piece wedding band (very affordable), to any other classical instrumentalist. We do it all. 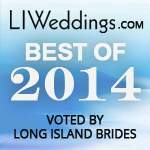 Live classical musicians will enhance any type of wedding ceremony/cocktail hour. In our opinion, it is so much more personal with much more ambiance than a CD played in the background. We can create almost any mood the couple envisions and wants….and it’s all very personal, sophisticated, and classy. Nothing can beat the sound of live music at a special event. Couples usually meet with me in person to choose music specifically for their ceremony and cocktail hour music using a CD we recorded. Clients can book up to 2 years in advance. Sometimes, depending on availability, we can book a job a few days in advance as well.